Medical malpractice actions in Florida are, in a word, convoluted. There are many hoops that a plaintiff must jump through before officially filing the lawsuit with a court. And, unfortunately for the plaintiff, it appears that the deck is stacked in favor of the medical professional. In fact, although having an attorney assist a plaintiff in any legal action is almost a necessity, it is even more crucial to have that assistance in Florida medical malpractice actions. Recently, though, a Miami judge has provided some relief to plaintiffs harmed by improper medical treatment, ruling that Florida’s medical malpractice financial caps on damages violate the Florida Constitution. Although, this ruling is likely not the end of the matter, as appeals and other court decisions will likely ensure that the Florida Supreme Court will address this issue. Nevertheless, a discussion of this opinion, and what it could mean going forward, will follow below. Discernable damages, such as disability, additional medical treatment, suffering, etc., caused by the injury. In the action in front of a trial judge, the plaintiff was able to prove that the medical professional violated his standard of care, causing an injury to the plaintiff, and that the plaintiff suffered damages as a result of the injury. Initially the jury returned a non-economic monetary damage amount of $500,000. However, Florida law limits damages to $350,000, so the defendant petitioned the court to reduce the damages to that amount. 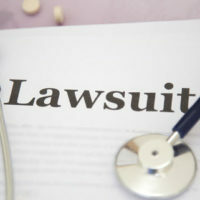 In denying the petition, the judge drew an analogy to wrongful death actions, which, effectively, are negligence cases, like medical malpractice, in which the injured party dies as a result of the injury. Previously, the Florida Supreme Court abolished a cap on non-economic damages in wrongful death cases. Taking this lead, the judge in this case held that the same rationale should apply to non-economic damages in medical malpractice actions. It should also be noted that another reason that the judge ruled the way he did was that the $350,000 cap was not indexed to inflation, and, rather, had been at that amount since 1988. The judge, extrapolating for inflation, noted that, in 2018 dollars, $350,000 would be $750,000. As such, he reasoned, the amount was justified. Bolstering this reasoning, the judge noted that keeping the cap at the 1988 level would disincentivize medical professionals to ensure that their work is in accordance with the standard of care, and, instead, looking at the 1988 level as but a cost of doing business. While the defendant did indicate that he is contemplating an appeal, which must be filed by the end of July, perhaps this case, if appealed to the Florida Supreme Court, will settle this issue once and for all. If you, or someone you love, has been harmed as a result of an error by a medical professional, contact a medical negligence attorney as soon as possible. The Miami attorneys at the law firm of Pita Weber Del Prado have experience in medical negligence, and will work to determine the best strategy to get you the compensation you deserve. Contact our Miami office today for an initial consultation.